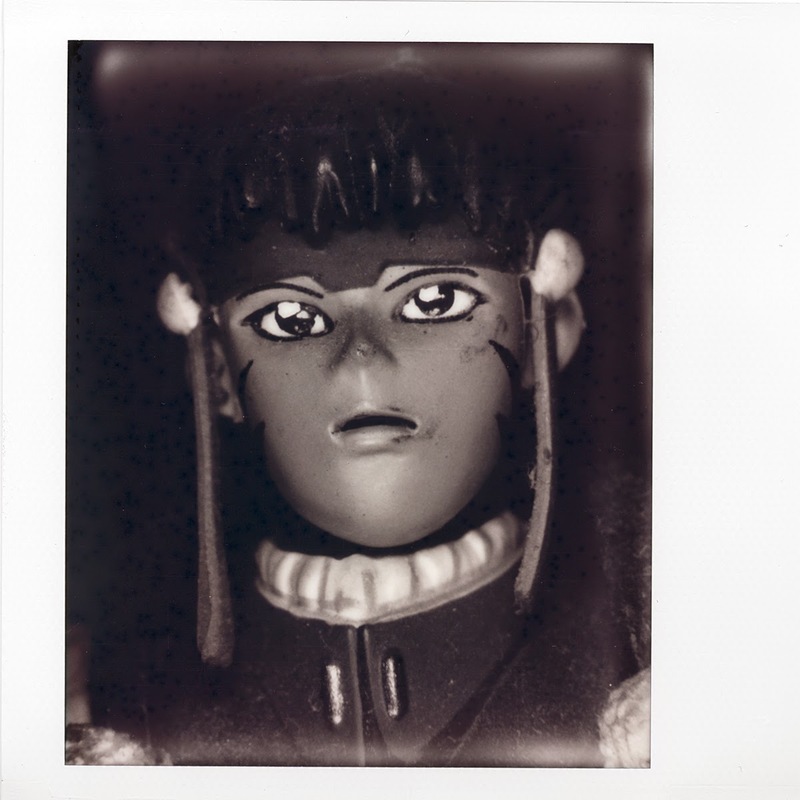 Polaroid Macro 5 SLA 1200 Impossible Spectra Black and White Instant Film - Inspired by my Instant Faces post, I decided to do a series of images on artificial faces using Impossible Project's Black and White instant film and my Polaroid Macro 5 1200 instant camera. This is the fourth in a series of images capturing faces on various toys and objects around the house, "found" beauty so to speak. Those of you familiar with the Anime series Tenchi Muyo will recognize the face above as the title character.